Details: The project is coming up at Balanagar, Hyderabad spread across 3.30 acre of land. The project offers 2 towers with G+8 floors, having 154 units of 3 BHK apartments. 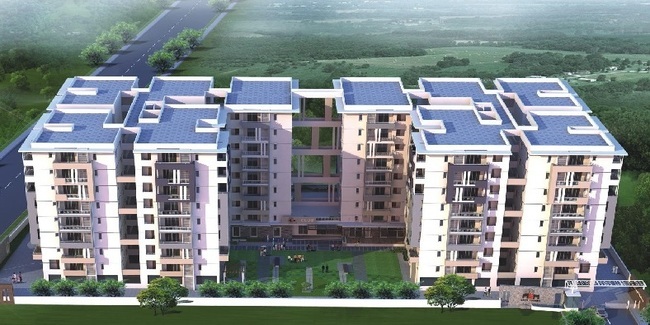 Apart from basic amenities, the project offers swimming pool, aerobics, jogging track, clinic, power supply, gym, lift, compound wall, super market, party-hall, table-tennis, two wheeler parking, security, squash, intercom-facility, play ground community hall, power back up, club house, park, car parking, cafeteria, etc.